The squirrels on our garden fence rock. 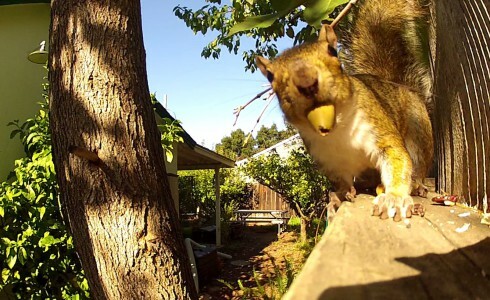 I filmed them for several weeks with a GoPro camera, while they were gathering food for the winter. Watch this 3 minutes best of and you will love them just as we do.